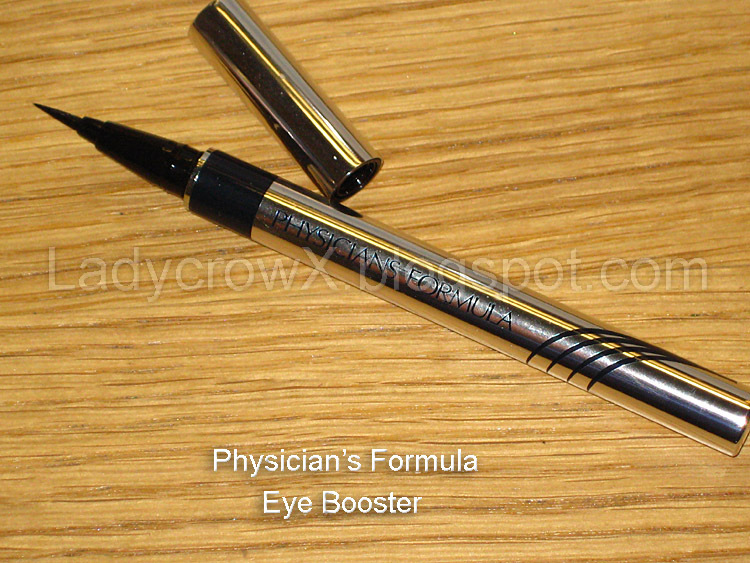 The Crow and the Powderpuff | A Creative Makeup & Beauty Blog: Physician's Formula Holy Grail of OMG EYELINER! 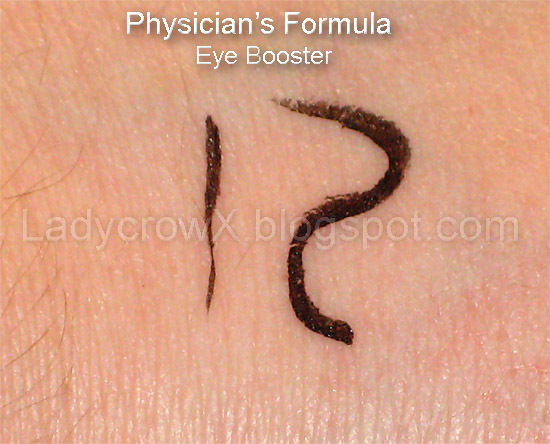 Physician's Formula Holy Grail of OMG EYELINER! So I was staring at this Eye Booster from Physicians Formula the same time I picked up the Happy Booster Face power, I thought about getting it but didn't because I misread the label and though it was just a serum! The store I went to had been having a sale for buy one get one half off. Then VintageorTacky mentioned she was using it as an eyeliner and thought "Wait wha?!!" (mad dash back to the super market). Only I found the store no longer had the sale going on... but wth I bought it anyway because I have trouble with normal felt pen liners and most of them are the exact same price as this one if not more. I have hooded eyes so it's really difficult sometimes to do my liner because it's not all smooth and stuff and the liners sometimes transfer to my crease if they don't dry quick or have good staying power. Normal felt liners or hard tipped ones don't go on smooth for me at all and usually they don't dry quick either so that's a no go for me because I like things quick and easy. 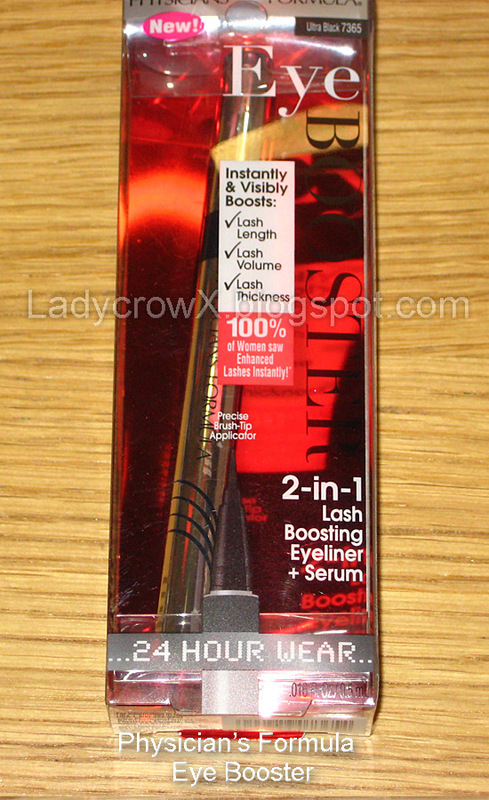 Quality: I love, love, LOVE this liner, the pen is easy to hold and the brush is actually a BRUSH so it's very easy to work with and goes on smooth as butter. 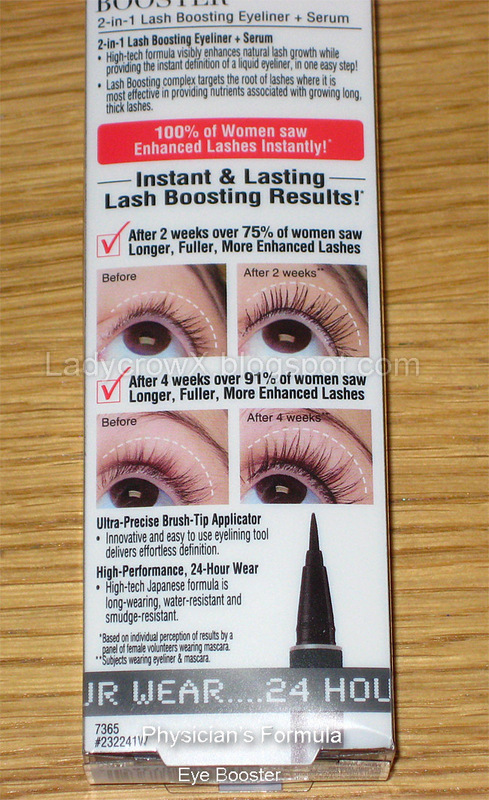 The product dries quickly and stays on without any budging or smudging! (note: this product will not come off easily, I tried wiping/rubbing with my wet finger and it didn't move. I'd suggest an eye makeup remover.) I rubbed over my hand with a wet finger 5-6 times with a fair amount of pressure and it didn't budge! Would I purchase again? Heck yeah!!!! 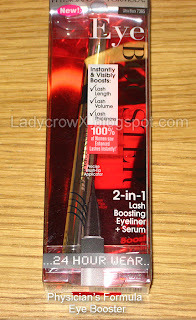 This is by far my favorite eyeliner and I know I can put this on and it won't smudge or budge! 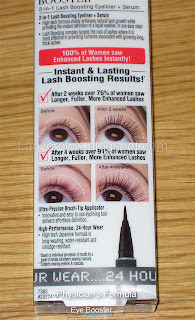 I'm not sure about the serum part yet as I've not had it long enough to say anything about that, but I will recommend this eyeliner to anyone who wants a liner that stays on without transferring and is easy to work with! Disclaimer: I purchased this product myself and this is my honest opinion! Great review. I'll check this out. Wow, I paid $19.99 CAD for mine, and that was on sale! I love this stuff. Honestly, EVERYTHING Physician's Formula blows my mind, love the whole line. Have you tried the Bronze Booster? I have to recommend it, it comes in every shade for every skin tone, definitely try it out! Ooh, now I need to check this out!